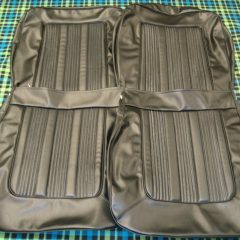 FRONT SEAT COVERS TO SUIT A HQ LS MONARO *MADE FROM AN ORIGINAL TEMPLATE,TO ENSURE A PERFECT FIT. *BLACK ROEBUCK SEAT VINYL. 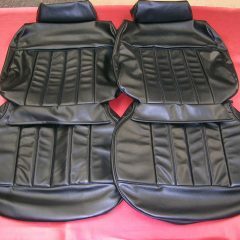 *TWO LOWER COVERS,TWO UPPER COVERS,TWO HEADREST COVERS.